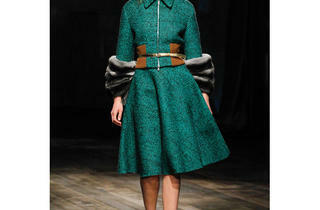 According to Chicago boutique owners, you'll be wearing emerald green, oversized coats and a lot of leather this fall. Fall Fashion 2013: Haberdash's hottest trend for the season is quilted jackets. 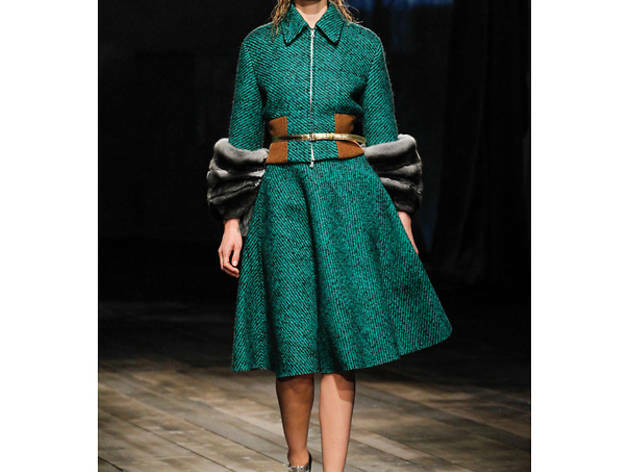 Alessandro Lucioni/IMAXTREE.COMFall Fashion 2013: Tusk's hottest trend for the season is oversized coats. Photograph:Marcus Tondo/IndigitalTeam/GoRunwayFall Fashion 2013: Frimson's hottest trend is emerald green. 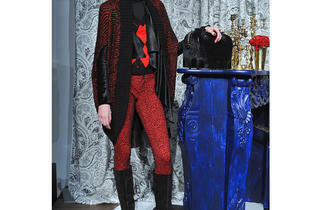 ANDREA ADRIANIFall Fashion 2013: Roslyn's hottest trend for the season is leather. Fall Fashion 2013: VMR's hottest trend for the season is fur. 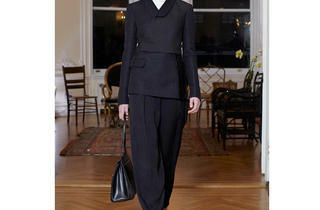 Marcus TondoFall Fashion 2013: Sofia's hottest trend for the season is new takes on menswear. Fall Fashion 2013: Edit Hart's hottest trend for the season is plaid. Courtesy of Kaufman FrancoFall Fashion 2013: Luxury Garage Sale's hottest trend for the season is leather. 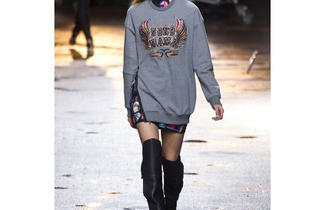 ImaxtreeFall Fashion 2013: space519's hottest trend for the season is sweatshirts. 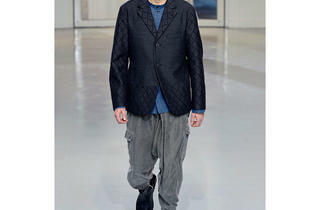 Fall Fashion 2013: VonZ's hottest trends for the season is slouchy pants. Fashion Week in New York might be all about spring looks at the moment, but we're into clothes you can wear right now. As you can see in our massive fall fashion guide, we highlight some of the must-have trends of the season (hello, leopard-print!) and picked out some of our favorite items for fall. But which looks are going to be big in Chicago stores? Instead of turning to a Magic 8 Ball, we asked a handful of Chicago boutique owners for their take on the biggest trends that'll hit their shelves. Not only do you now know what looks are in this season, but you'll know where to find them. Spoiler alert: Start investing in leather pieces now. "Quilted & waxed jackets from Barbour, Macintosh and Filson are a fresh take on fall classics." "I love oversized statement coats/jackets. I like the structures I have been seeing (wide shoulders, blazer styles) and the minimal modern cuts without closures and rounded shoulders. They make for easy layering, and with a skinny pant and a little bit of a heel can be very stunning." "Deep jewel tones are going to be big this season especially Emerald Green, which has already been named the Pantone color for 2013." "One of the Fall trends we're loving is the incorporation of leather detailing across various categories. As the bodice of a dress, leather can add a tough edge to an otherwise feminine silhouette; on the sleeves of an outerwear piece, it lends an urban sophistication by merging fashion and function." 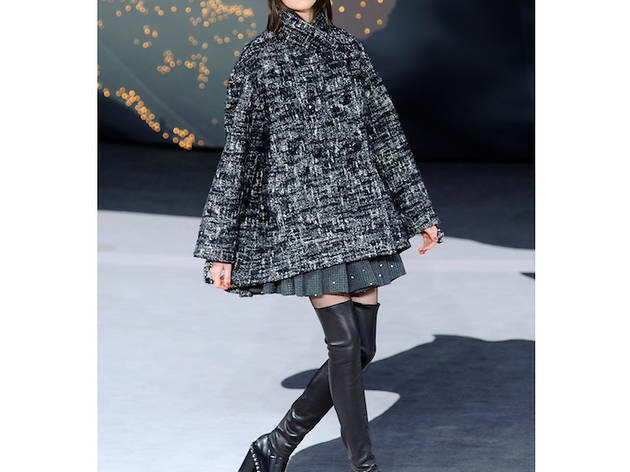 "For us, the biggest trends are touches of fur on everything from coats to bags to shoes (show photo of Fendi fur booties), navy and black as a color combination, and the cocoon coat, which works on all body types." "This fall we are going to be seeing a lot of menswear inspired looks. Anything from fabrics (think houndstooth, plaid and herringbone) to silhouettes. You're going to want to look for structured pieces, military inspiration, subdued colors and menswear patterns. Throw them on with an over-sized coat or try wearing classic suiting as separates. Pair them with fluid, sheer or lace pieces underneath to give the look a decidedly feminine touch." 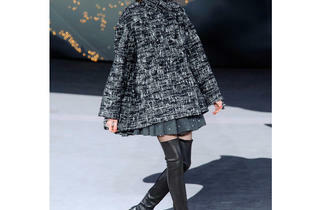 "Quilted leather, leather skirts and plaid." "Leather is going to be a big fall trend. It is so versatile—you can make it edgy, feminine and even classic with the right styling." "One of the biggest trends here at space519 for fall 2013 is sweatshirt couture. 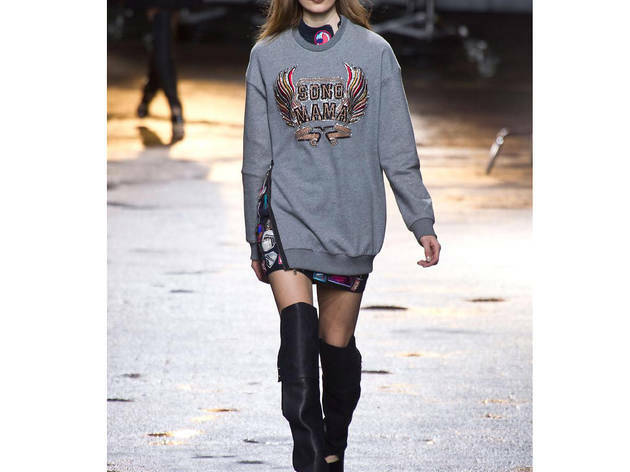 This is all based on the fashion flock of Paris taking sweatshirt inspired knits and pairing them with over the top, colorful statement necklaces. We love this for an chic, day to night, easy look. We are matching knits from Alasdair, 194T and Derek Lam with blow out jewelry pieces from Shourouk, Bubba London and Dannijo." 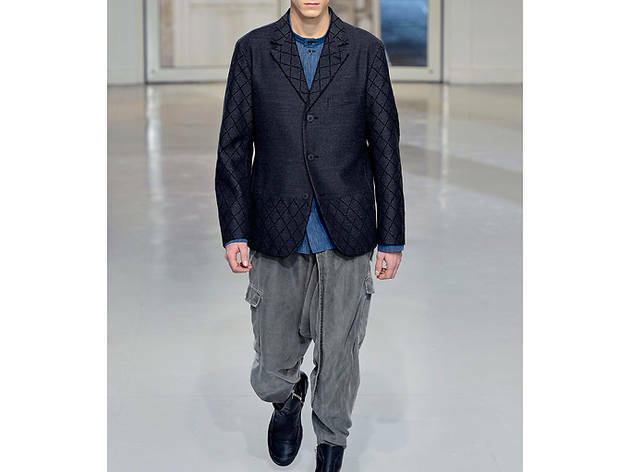 "This fall, we'll be seeing a lot of slouchy trousers—or fancy pants, as I call them. The trend from Spring/Summer '13 will carry over, but we'll be seeing less super bold prints and more solid rich colors. The 'it' trousers sit higher on the waist, are relaxed through the hips and more tapered near the ankle. They can be easily dressed up with a pair of killer heels or dressed down with a pair of oxfords."